Let's wing it, they said. But this event wasn't "winged"; it was well planned and rooted in educational information. Wings? A reference to the flutter of the ever decreasing butterfly wings. The occasion? 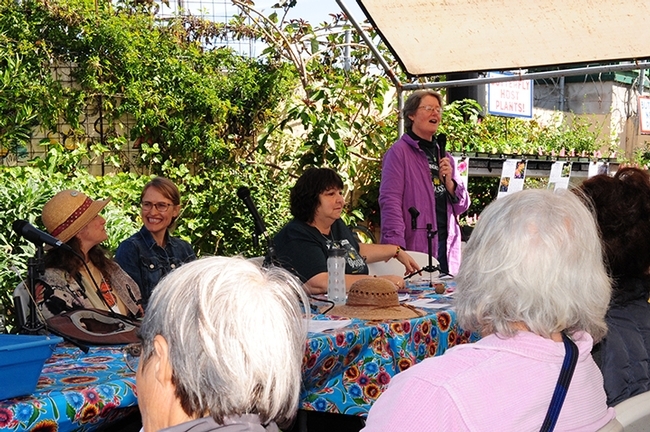 The inaugural "Wing It" Butterfly Summit, held last Saturday, March 25 at Annie's Annuals and Perennials in Richmond. A panel of butterfly experts fielded questions focused on "What can we do to help the declining monarch population, as well as other struggling butterfly populations?" 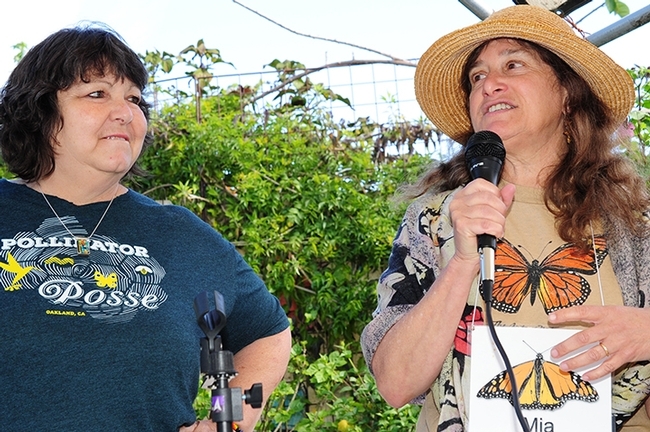 Among the speakers were Mia Monroe of the Xerces Society of Invertebrate Conservation, Tora Rocha of the Pollinator Posse and Suzanne Clark of the UC Master Gardeners, Sonoma County. 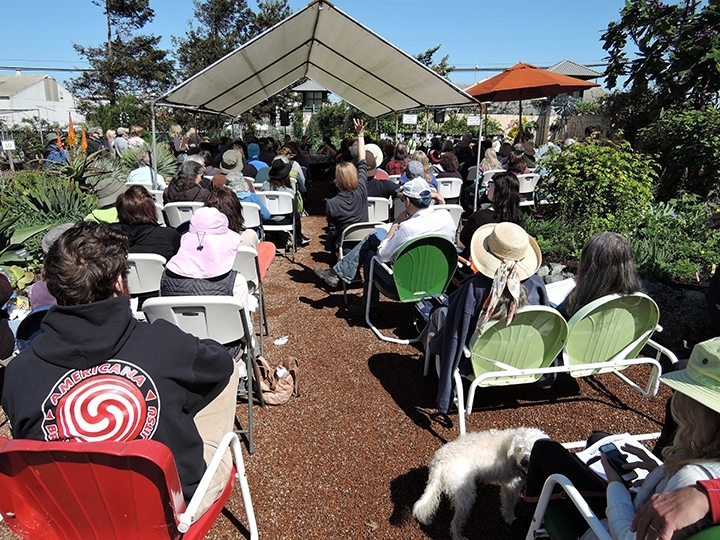 The speakers advocated that we garden for butterflies by planting their host plants (where adult butterflies lay their eggs and where the offspring subsist) and by planting nectar plants (food source of adult butterflies). Other points: We must preserve their habitats; help establish food-embellished migratory corridors for monarchs heading to overwintering sites; avoid the use of pesticides; and support research. “Everything you do affects the local ecosystem,” said Tora Rocha, Oakland parks supervisor and founder of the Pollinator Posse at the Gardens at Lake Merritt, Oakland. 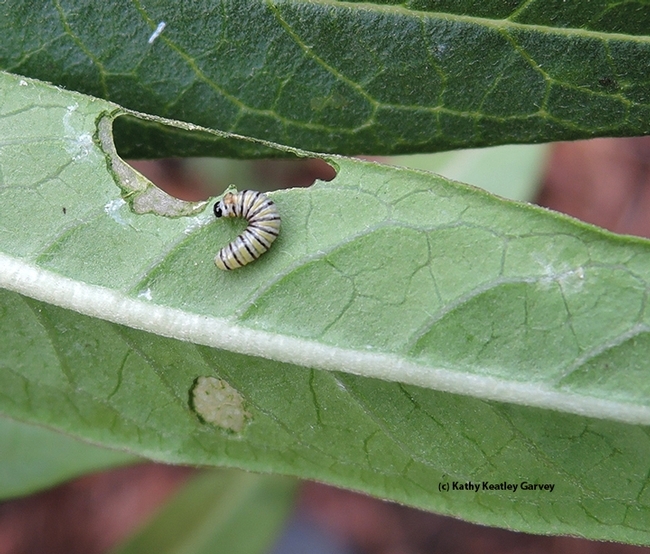 Her group not only rears monarchs but creates habitat in the “urban jungle.” They are also heavily involved in protecting other pollinators, including honey bees and native bees, and their habitat. They are expanding their Oakland base to encompass members statewide. 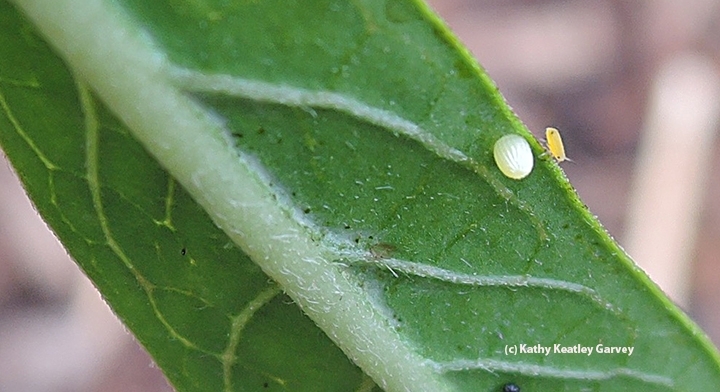 The Pollinator Posse, geared toward protecting pollinators and creating habitat, also urged that we all get involved in conservation efforts, including rearing monarchs--bringing in the eggs and caterpillars from the outdoors to protect them from predators. 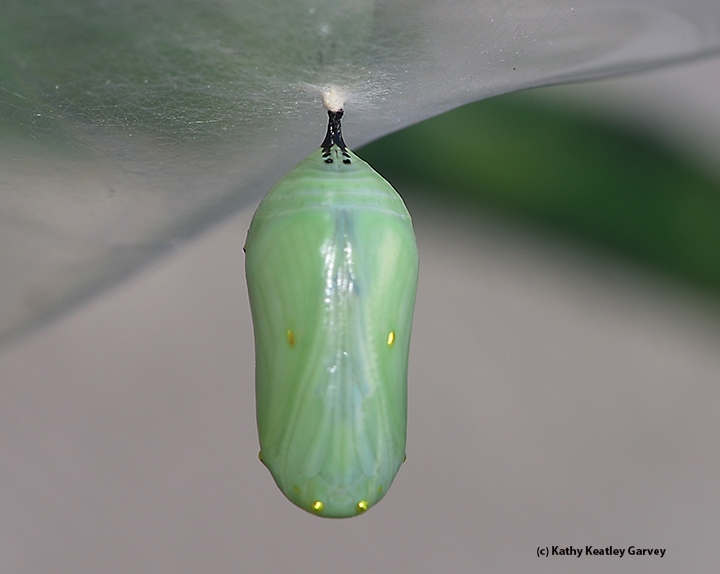 Many "Monarch Moms" and "Monarch Dads" use zippered meshed containers, keeping the offspring safe from tachinid flies and wasps that lay their eggs in caterpillars and chrysalids. 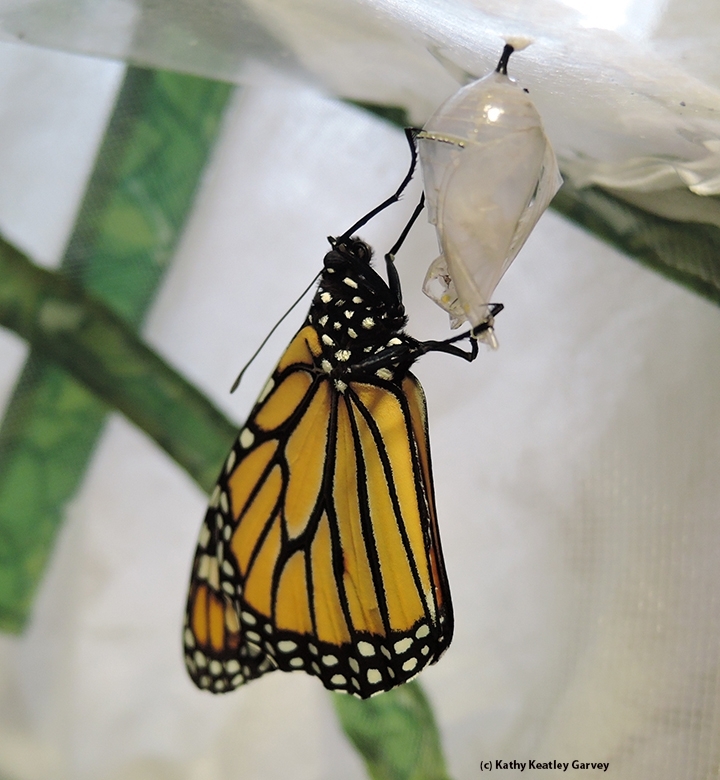 In less than 20 years, the number of monarchs at overwintering sites in California has declined by 74 percent, a figure comparable to what's happening to the overwintering population in Mexico. 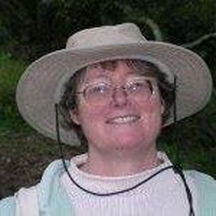 Amber Hasselbring, executive director of San Francisco's Nature in the City, who is establishing Green Hairstreak corridors in San Francisco neighborhoods. 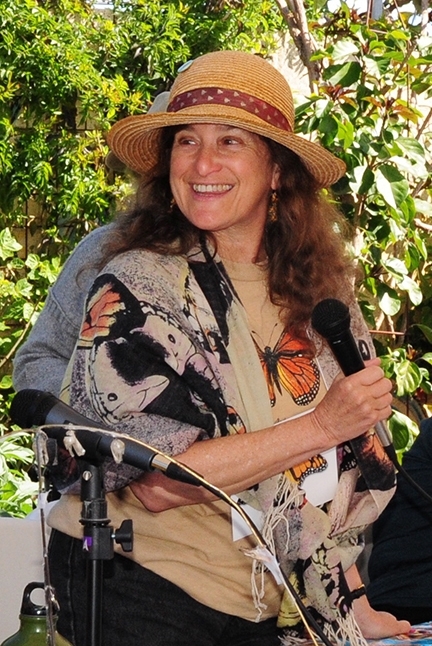 Sal Levinson, author, entomologist and noted speaker on butterfly habitats. 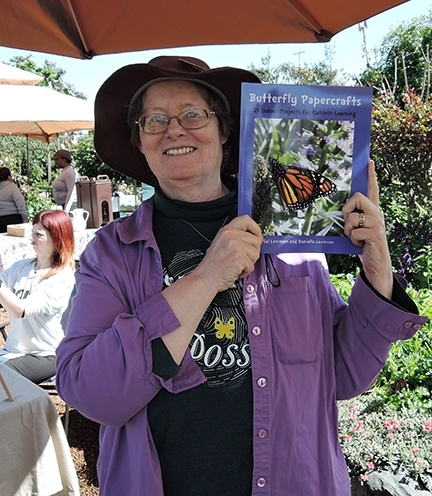 She authored Butterfly Papercrafts Butterfly Papercrafts: 21 Indoor Projects for Outdoor Learning, a book geared for youngsters ages 5-12 and described as a key educational resource for teachers. 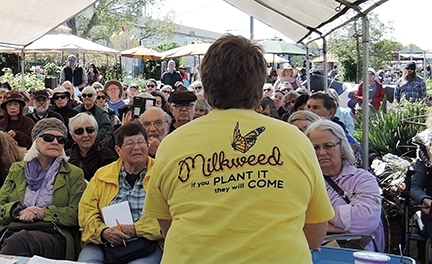 Suzanne Clarke, UC Master Gardener from Sonoma County, who urged the participants to plant milkweed for monarchs: “Milkweed: If you plant it, they will come.” She sported a yellow t-shirt lettered with just that and a monarch image. 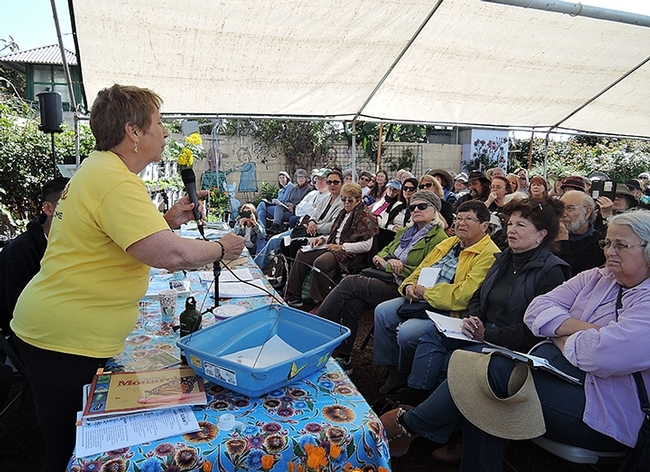 The summit drew some 250 to 300 people, who listened to the talks, visited the educational booths, learned about the metamorphosis from egg to caterpillar to chrysalis to adult, and what to plant to attract butterflies. 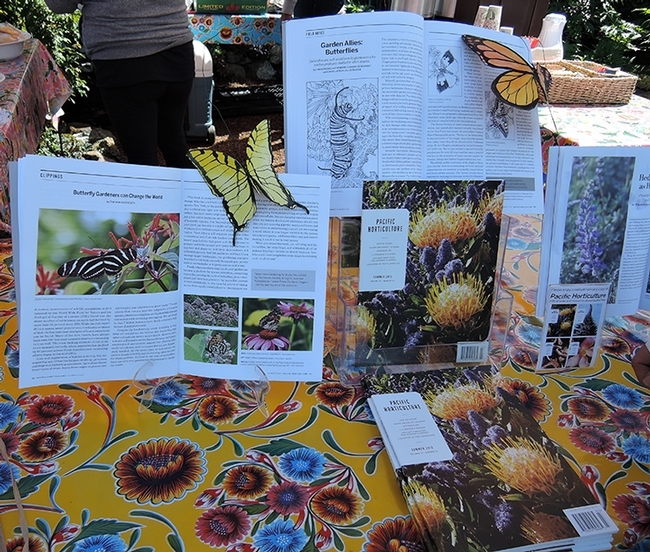 Vendors offered books, posters, T-shirts, plants and butterfly habitats. 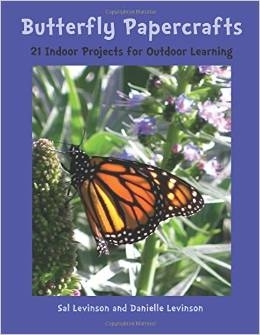 Good Bay Area nectar plants for butterflies, according to the Butterfly Summit, include California buckeye, brodiaecas (cluster lilies), milkweed, asters, butterfly bush (Buddlejas), cosmos, coreopsis, echiums, blanketflower (Gaillardia), dahlias, mint, rosemary, lavenders, marigolds, rosemary, phacelias, sunflowers, Mexican sunflower (Tithonia rotundifolia), Salvia clevelandii, Gilia capitata, Suromgas (lilac), verbenas, and zinnias. 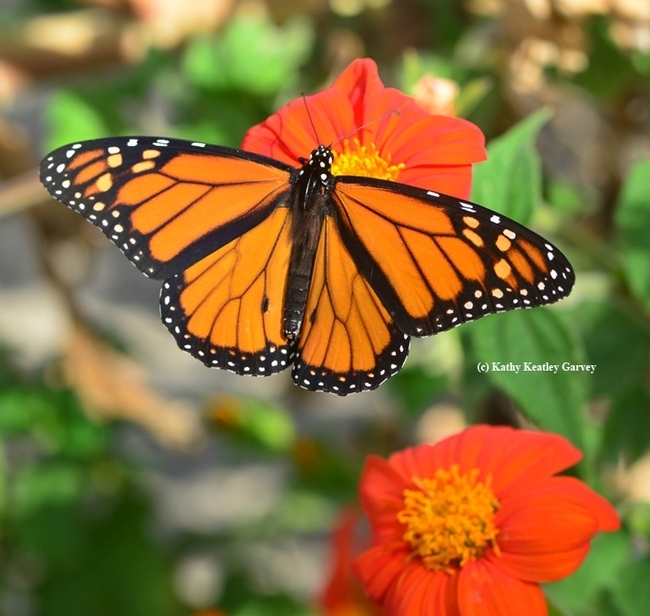 Monarchs are especially fond of these nectar sources: butterfly bush (Buddleja), Mexican sunflower (Tithonia), asters, Echiums (Echium fastuosum or Pride of Madeira), and verbenas. 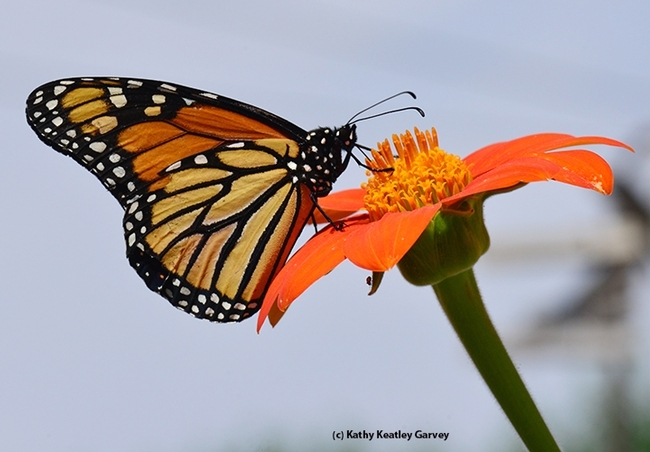 The National Wildlife Federation (NWF) says that "providing milkweeds and other nectar-rich flowers that bloom where and when monarchs need them is one of the most significant actions you can take to support monarch butterfly populations." 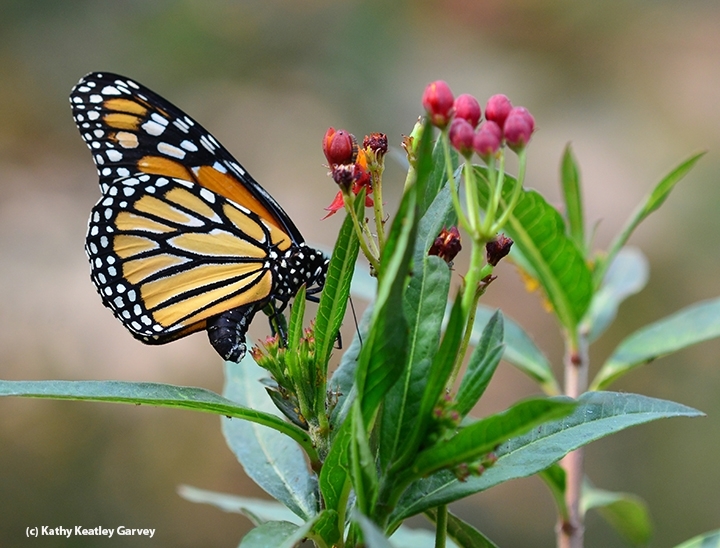 --Monarch Nectar Plants, Inland California. 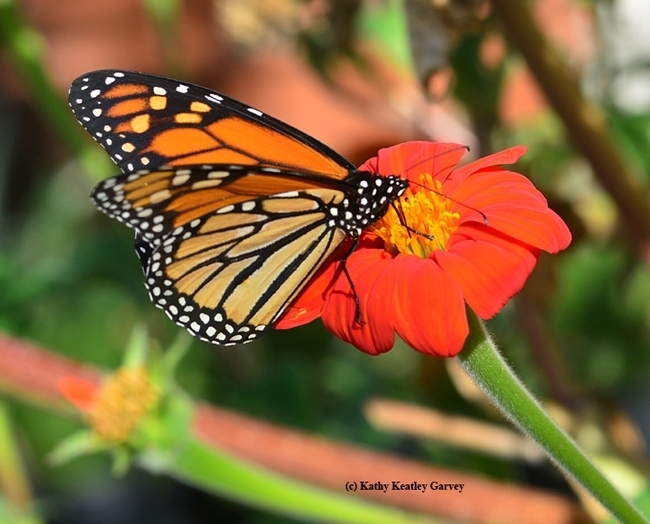 NWF also urges everyone to plant natives: "Although monarchs use a variety of nectar plant species, including exotic invasives such as ice plant and cape ivy, we recommend planting native species. Native plants are often more beneficial to ecoystems, are adapted to local soils and climates, and help promote biological diversity. They can also be easier to maintain in the landscape, once established." Xerces Society offers a wealth of information on its website on monarchs and milkweed.